The next upcoming Earth Day is on Monday April 22nd, 2019. 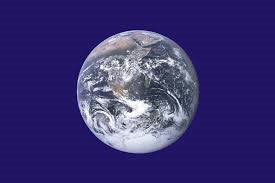 Earth Day is celebrated on April 22 annually. Worldwide events are held to support environmental protection. Arbor Day is another popular observance to help the environment by encouraging individuals to plant trees and other plants in an effort to take care of our environment. Earth Day is globally coordinated by the Earth Day Network. Activities might include lectures, learning time in schools and universities, peaceful demonstrations, and sometimes focusing on a key issue like the benefits of recycling. Earth Day was first celebrated in 1970. Peace activist, John McConnell proposed the day of March 21, 1970, the first day of spring, to honor the earth and the concept of peace. The date changed to April 22 that year and by 1990 it was taken internationally. Now more than 192 countries each year celebrate Earth Day.